Happe Contracts Ltd is a specialist Building and Roofing contractor with more than 60-years experience in managing contracts for both the public and private sectors. As well as conforming to all the necessary regulations and requirements for building contractors, very few companies can boast the same level of accreditation that we have gained over our history – most notably in the field of specialist roof system installations and maintenance. Our wide portfolio of projects range from large, prestigious corporate buildings through to the day-to-day maintenance of smaller properties. Though based within the M25, our work extends throughout the UK. There are very few roofing contractors who can offer the same broad range of services as Happe Contracts. 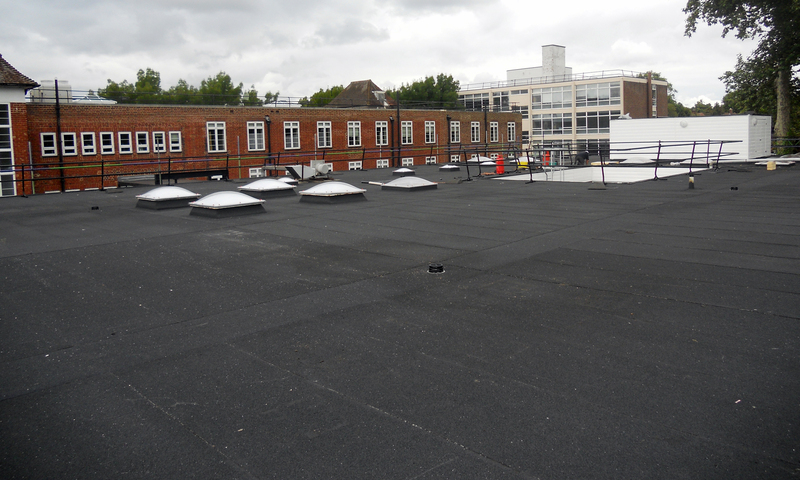 We are qualified installers of all the latest pitched and flat roofing systems, and are very proud of our extensive accreditation’s within the roofing industry. Regardless of whether you need repairs, maintenance or replacement of an existing roof – or you are looking for new-build contractor with experience of the very latest roofing technologies – we can provide a safe and trouble-free service. Happe Contracts is an approved installer for most major manufacturers. Guarantees of up to 25 years can be offered on many installations – subject to specification.